Our indoor Biergarten may be a slice of paradise, but it took more than a snap of the fingers to make it as picture perfect as possible. As you know, we are all about authenticity. 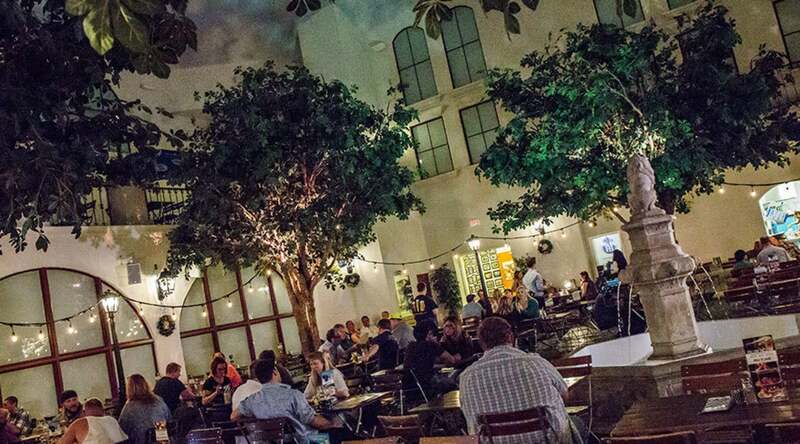 We wanted your Biergarten experience to make you feel as if you’ve been transported to the original Hofbrauhaus itself. That’s why we went to painstaking efforts to create a space unlike any in Las Vegas, but exactly like the one you'd find at Hofbrauhaus Munich. In case you didn’t notice, it gets hot in Las Vegas. We decided to design a temperature-controlled Biergarten to be enjoyed year round. Bavaria is famous for its Weiss blaue Himmel, aka white blue sky, so we commissioned local artist Grizel Herhold to bring the outside in by recreating this sunny perfection on the ceiling. 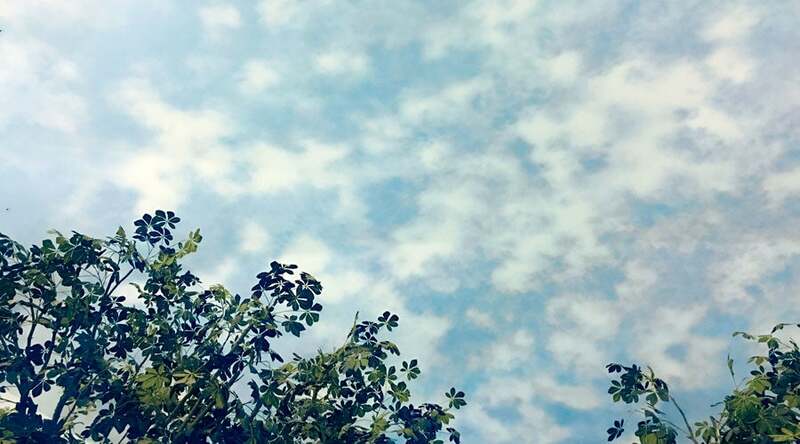 It only took her three days to put each cloud in its place, but you can enjoy it 365 days a year! Fun fact: Grizel also painted the ceiling in our Beer Hall! If you read our post about the history of Biergartens you’d know the chestnut trees found in many Biergartens aren’t just for looks. Their sprawling branches were used as an additional cooling method for the beer buried below the river banks of the Isar River. Today, they are still used to provide ample shade for beer-guzzling guests. 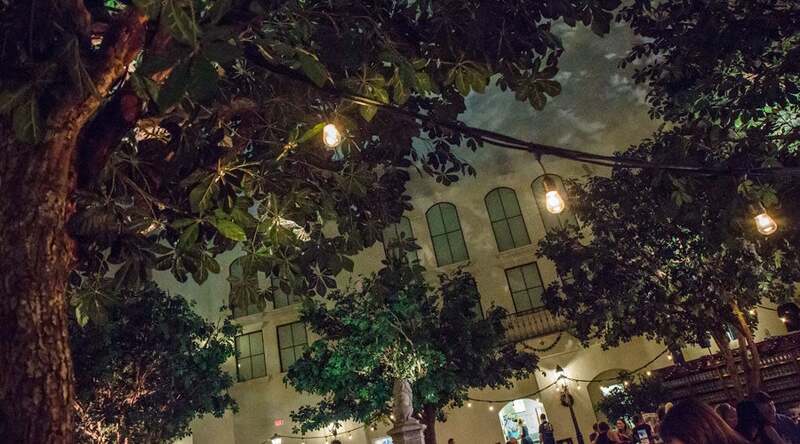 The trees in our Biergarten are exact re-creations of these famous fronds. A local company called Plantworks worked tirelessly for two weeks to build each tree. The trunks are made from real wood (but treated so it won’t rot), and each leaf was custom made to match the shape of the ones found on European chestnut trees. 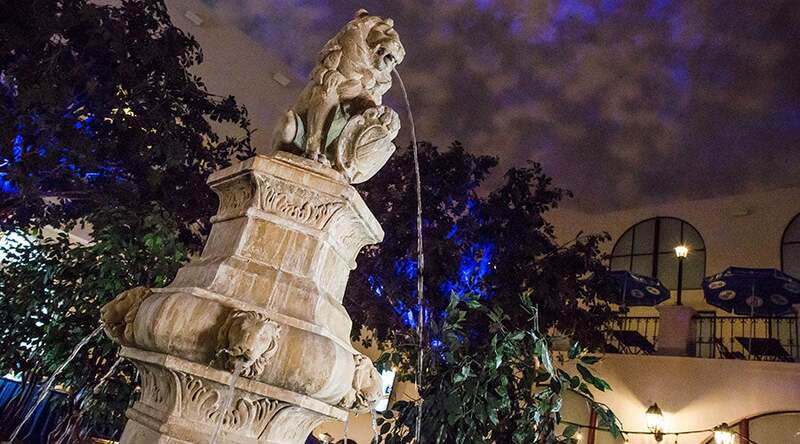 That soft bubbling noise at the center of our Biergarten comes from a very special fountain. We searched high and low for a fountain featuring a certain majestic creature on top: the lion. This was especially important as the lions on the Bavarian Coat of Arms resurrected a 14th century tradition. Wild animals were often used as symbols of power during that time—what’s mightier than the lion? That’s it. We’ve spilled our secrets to creating the quintessential Biergarten experience. And there’s more! Check out how we’ve made our Biergarten even better with just the flip of a switch.